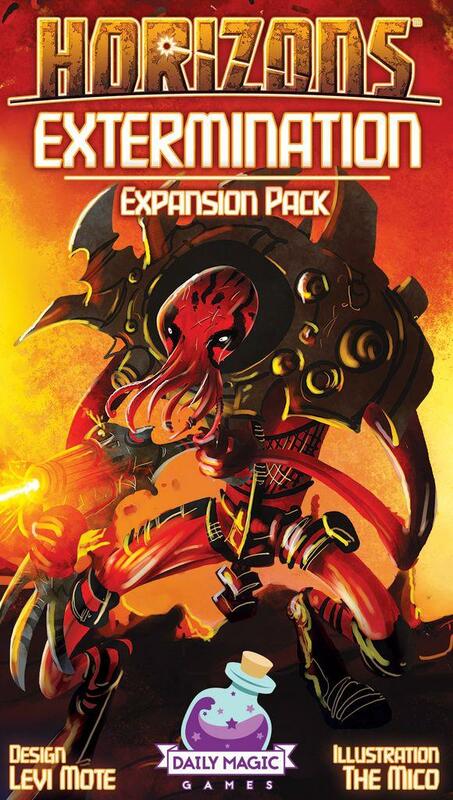 Horizons: Extermination adds five Viliox Alien Ally cards, five alternate Starter Ally cards, and six alternate Star tiles. The Viliox add conflict, destruction, and extermination to Horizons. The alternate Starter Allies add more variety to the beginning of Horizons. The alternate Star tiles have special powers, benefits, and constraints.